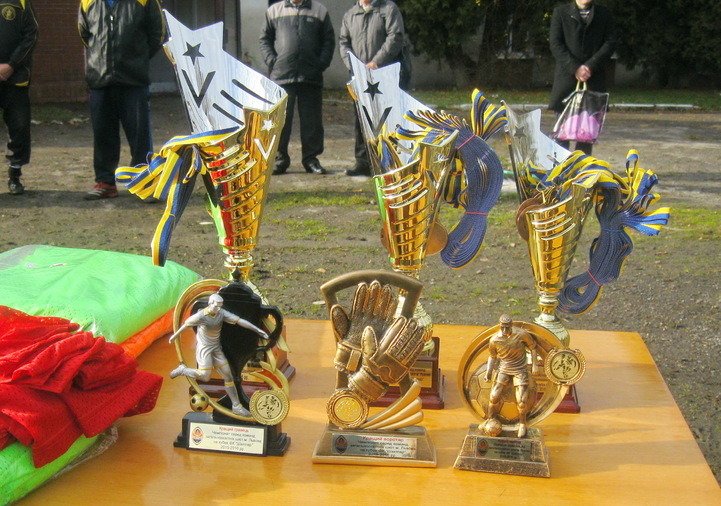 In Lviv, they held the second in history competition for the prizes of FC Shakhtar. Traditionally, for each of the six districts of the city, the select teams of players aged 16 to 17 took part in it. The tournament was held based on the cup system. Shevchenkovskiy, Zheleznodorozhnyi and Galitskiy districts. Sikhovskiy, Lychakovskiy and Frankovskiy districts. The group stage was followed by the knockout stage. According to the rules of the tournament, the winnerы of Group A play against the select team which finished second in Group B, and vice versa. Accordingly, the winners of those pairings met in the final and the losers fought for the third spot. In the match for the bronze medal between the teams of Sikhovskiy and Frankovskiy districts, the first ones proved stronger claiming a convincing 7-3 win. The winner of the tournament was defined only in a penalty shootout. So, after beating their peers from Shevchenko district 4-3, the guys from Zheleznodorozhnyi district became the winners. Best Defender - Orest Savka (Vasiliy Simonenko school). In addition to the prestigious cup, medals and diplomas, all competitors received memorable prizes from FC Shakhtar.